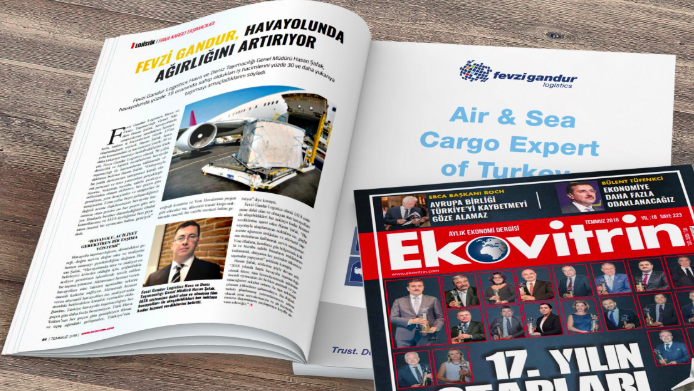 In the July issue of Ekovitrin Magazine, General Manager of Sea and Air Transportation at Fevzi Gandur Logistics Hasan Safak noted that air shipments have a 15% share of total business volume with targets set at 30% and above. Safak further explained that Fevzi Gandur Logistics’ ability to deliver around the world with airlines included and not included in the IATA system was evidence of the fact that they have strong agency networks consisting of well-established and experienced companies all over the world. Previous Post Fevzi Gandur Logistics named Best Employer!